On the 12th anniversary of their deportation from Bethlehem to the Gaza Strip and to European countries, families of Nativity Church deportees on Sunday handed a letter to Foreign Minister Riyad al-Maliki urging the PA to exert serious efforts to bring them back to Bethlehem. 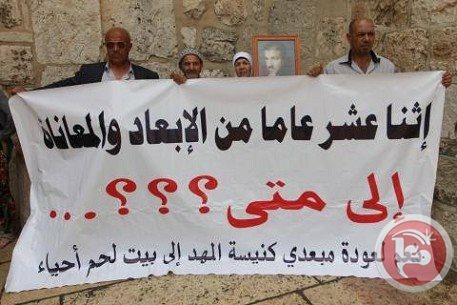 The letter was handed over in Ramallah in the central West Bank during a protest to show solidarity with 39 Palestinian activists from the Bethlehem area who were deported in 2002 after hiding out at the Nativity Church for 40 days. Thirteen were exiled to Europe and 26 others to the Gaza Strip. Another protest activity was organized in Gaza City simultaneously. He highlighted that when Abbas agreed with the Israeli government to release veteran prisoners jailed before 1994, he insisted that they return to their hometowns and refused any discussion about deportation. Al-Maliki hosted the deportees’ families at his office in Ramallah along with representatives of the national campaign for the return of Nativity Church deportees. He told them his ministry has been putting efforts at international level to prove that the deportation of activists was a breach of international treaties and conventions. The minister of foreign affairs pledged to deliver the letter he received from deportees’ families to President Abbas. He also promised that his ministry would offer all the needed facilitations and help the national campaign. Prime Minister Rami Hamdallah was notified officially Sunday that the UN accepted Palestine as a signatory to the UN Convention Against Corruption of 2003. According to an official letter from UN Secretary-General Ban Ki-moon, Palestine has become an official signatory of the convention as of May 2, 2014. The letter was sent to chief of the Palestinian Authority’s anti-corruption commission Rafiq Natsha, who delivered it to Hamdallah Sunday. Natsha highlighted that his committee would take certain moves to amend its laws and regulations so they can match the convention. Hamdallah, for his part, asserted that his government would provide full support to the anti-corruption commission so as to protect public and private property and money. Member of Hamas's political bureau Mousa Abu Marzouk said "his Movement is strongly moving towards the national reconciliation despite all external pressures to abort it." During his meeting with Palestinian unionists in Gaza on Saturday, Abu Marzouk said that the stated Zio-American position against the Palestinian reconciliation agreement confirmed that restoring the national unity necessitated confronting external pressures to undermine its realization. 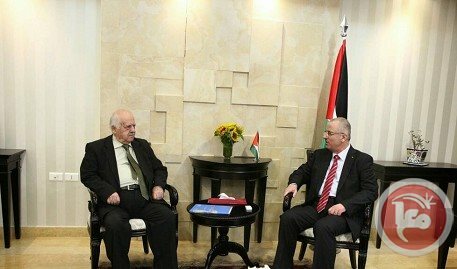 He also said that this stage needs both reconciliation and openness between all Palestinian parties in order to consolidate the unity throughout Palestine. "Hamas never stands by idly with regard to any issue concerning the Palestinian people whether in peacetime or wartime. 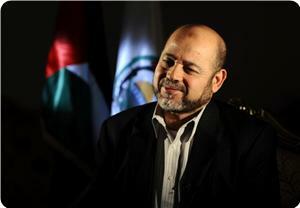 It would always be a decision-maker and have a political position towards all issues," the Hamas official emphasized. A young Palestinian man was found dead on the outskirts of Hebron in the southern West Bank on Saturday night, family members and security sources told Ma'an. Hebron security sources say the body of 19-year-old Muhammad Ibrahim Deib Zuhour was found in an outskirt of Hebron known as Sakka. The victim was a resident of the village of Beit Kahil northwest of Hebron, they added. The victim's body sustained major bruises and burns, and was subsequently taken to the Institute of Forensic Medicine at al-Quds University in Abu Dis on the order of the Hebron district attorney. Family members told Ma'an that the victim received a phone call Friday afternoon requesting that he donate blood for an emergency case. He left his home after the phone call and never came back. On Saturday night the family identified the victim's body at Hebron hospital. Hebron police and general prosecution have launched an investigation into the case. The Hamas-affiliated newspaper Felesteen on Saturday was distributed in the West Bank and East Jerusalem for the first time in seven years. 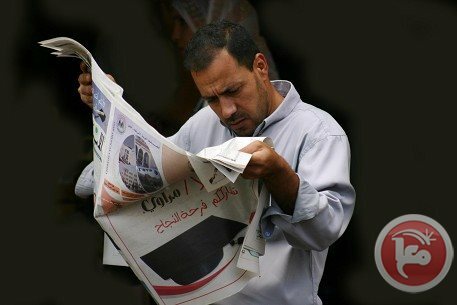 The Palestinian Authority's Ministry of Information announced earlier this week that it would allow the newspaper to be distributed outside the Gaza Strip. Meanwhile, the West Bank and East Jerusalem newspapers al-Quds, al-Ayyam, and al-Hayaat al-Jadida were allowed to be distributed to Gaza on Monday. The decision to distribute the newspapers comes after Hamas and the Fatah-led PLO signed a deal to end political division on April 23. A Fatah spokesman on Saturday said that the PLO-Hamas reconciliation deal was making the necessary progress to be implemented within five weeks of the April 23 agreement as planned. Fayiz Abu Eita told Ma'an that senior Fatah official Azzam al-Ahmad was set to visit the Gaza Strip "soon" to discuss the formation of the agreed-upon unity government. Talks on the structure of the unity government are ongoing, Abu Eita said. "There has been agreement to create a government of nonpartisan technocrats to be selected by President Abbas," he said, but would not provide names of those likely to be selected. 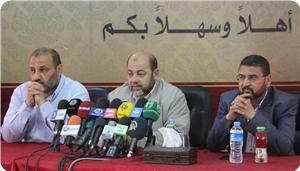 One a separate note, Abu Eita speculated that the upcoming unity government would improve Egypt-Gaza relations. "Our (Egyptian) brothers are interested in a legitimate body, and they view President Mahmoud Abbas as symbol of Palestinian legitimacy. Thus, the Egyptian government will agree to deal with any entity ... which represents President Abbas who will also be prime minister in the coming unity government." Abu Eita said this would likely lead to the opening of the Rafah crossing between Gaza and Egypt, which has been perpetually closed with few exceptions following the ouster of former Egyptian president Mohamed Morsi. Various Palestinian factions have said the five-week deadline provided time for the unity deal to collapse under US and Israeli pressure, and have warned against the pitfalls that led to the failure of previous agreements. 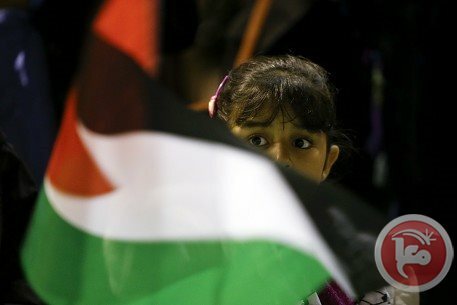 On April 23, the Fatah-led PLO and Hamas announced a national unity deal to end seven years of political division between the largest two Palestinian parties, with a national unity government to be set in place within five weeks. The groups have made failed attempts at national reconciliation for years, most recently in 2012, when they signed two agreements -- one in Cairo and a subsequent one in Doha -- which have as of yet been unimplemented. Human rights groups including Amnesty International on Thursday urged Palestine to sign up to the International Criminal Court. Seventeen local and international human rights organisations made the request in a joint letter to President Mahmoud Abbas, Amnesty said. The London-based organisation said if Palestine "signed up to the Rome Statute of the ICC, the Court would have jurisdiction over war crimes and crimes against humanity committed on Palestinian territories and by its nationals elsewhere." 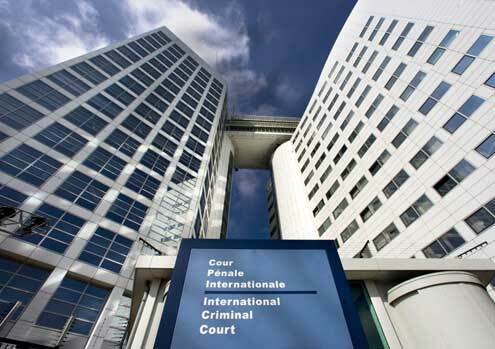 The joint letter urged Abbas to "take the necessary steps for Palestine to become a party" to the ICC. "Doing so would send an important message that entrenched impunity for war crimes and crimes against humanity committed on Palestinian territories must end once and for all,” said Philip Luther, Amnesty's Middle East and North Africa program director. In April, Abbas signed membership applications for 15 UN agencies and international treaties, beginning with the Fourth Geneva Convention, which defines humanitarian protections for civilians in a war zone. "This is not a move against America, or any other party -- it is our right," he said at the time. Israel maintains its position that the Palestinian Authority which Abbas heads fall short of the criteria for statehood. The United States and Israel have lobbied strongly against UN recognition of the Palestinians, arguing that a separate state can only be achieved through direct negotiations. US National Security Adviser Susan Rice assured Israel at high-level talks on Thursday that Washington remained determined to stop Iran developing nuclear arms, the White House said. "The US delegation reaffirmed our commitment to prevent Iran from acquiring a nuclear weapon," said a White House statement released after talks in Jerusalem between Rice, Prime Minister Benjamin Netanyahu and senior officials from both sides. "The delegations held thorough consultations on all aspects of the challenge posed by Iran, and pledged to continue the unprecedented coordination between the United States and Israel," it added. Earlier, Netanyahu said the best defense against a nuclear Iran was to block it from developing such a weapon in the first place and he referred to a new round of talks between Tehran and world powers due to open next week in Vienna. "The most important thing is that Iran does not attain the ability to develop a nuclear weapon, and that needs to be and must be the ultimate and most important goal of the current negotiations with Iran," he said. "That needs to be the object of the talks, that is Israel's position, that needs to be the position of everyone who really wants to prevent the renewed threat of mass destruction by a radical regime," Netanyahu said at a ceremony marking the 69th anniversary of the allied defeat of Nazi Germany. The White House statement said the Israeli-US talks Thursday also dealt with "other critical regional and bilateral issues," without elaborating. "The delegations shared views candidly and intensively, in the spirit of the extraordinary and unprecedented security cooperation between our two countries," it said. 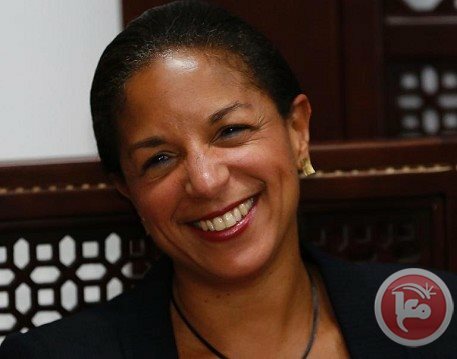 It was Rice's first trip to Israel since she took office last July and it came shortly after the collapse of US-brokered Middle East peace talks. The White House is assessing whether to try to salvage its Middle East peace efforts after the collapse in late April of nine months of US-brokered negotiations vigorously promoted by Secretary of State John Kerry. Netanyahu suspended negotiations after the Palestine Liberation Organisation, dominated by Abbas' Fatah movement, struck a reconciliation deal with Hamas, which controls the Gaza Strip. "Netanyahu is in a 'Catch 22' situation," senior Palestinian official Nabil Shaath told a convention of the Israeli leftist party Meretz in Tel Aviv on Thursday evening. "Before the reconciliation with Hamas, (the Israelis) argued that Fatah had no control over Hamas and therefore didn't represent all of the Palestinian people," he said. "After the agreement with Hamas, they say we made a deal with a terror organisation." Rice met for dinner late Thursday with President Mahmoud Abbas at his headquarters in Ramallah and said that despite the halt in talks the US remained committed to the process. "Ambassador Rice underscored that while we have come to a pause in the parties’ talks, the United States believes the only way to achieve lasting peace is through direct negotiations that lead to two viable, independent states living side-by-side in peace and security," another White House statement said after their meeting. Referring to the Hamas rapprochement: "She reiterated US policy that any Palestinian government must unambiguously and explicitly commit to nonviolence, recognition of the State of Israel, and acceptance of previous agreements and obligations between the parties," the statement said. Abbas told his guest that the Palestinian people's interest was "to seek the unity of land and people through the implementation of the reconciliation agreement and the formation of a government of independents to prepare free and fair elections," his spokesman Nabil Abu Rudeina said in a statement. 63 organizations have refused to recognize Israel, calling on all concerned parties to press ahead with Palestinian refugees’ right of return to their native homes. The declaration was issued following a press conference in Gaza on Wednesday afternoon on the occasion of the inaugurating ceremony of the coordination committee to commemorate 66th Nakba anniversary. Several committee members and representatives of the signatories partook in the conference. The committee declared, in its statement’s outset, "the Zionist entity is an invading, racist, terrorist, criminal, extremist, and illegitimate colonizing force that crept over Palestinian and Arab lands and displaced their natives by force”. The statement further stressed Palestinian refugees’ right of return, with no statute of limitations for the compensations. The statement further called on the UN and UNRWA to assume their human and legal responsibilities vis-à-vis Palestinian refugees and the siege imposed on the Gaza Strip. Different events, including political seminars, art exhibitions, and theatrical performances covering the entire Gaza Strip will be taking place so as to promote the right of return, among many other legitimate rights, and condemn Israeli crimes committed during the Nakba years. The closing statement called on Gazans to rally round all the projected events and partake in the commemoration, en masse, as a means to confirm Palestinians’ steadfastness and unyielding commitment to the right of return, freedom and self-determination. 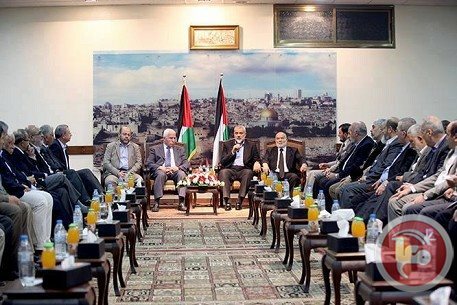 Mousa Abu Marzouq, a member of Hamas' politburo, on Thursday outlined the responsibilities of the national unity government, stressing that meetings next week would finalize its formation. Abu Marzouq declared during a symposium held by the lawyers union, entitled "Palestinian reconciliation and its justifications," that the government will have six tasks, namely: Preparing for the legislative and presidential votes, managing the lives of Palestinians in the Gaza Strip and the West Bank, re-building Gaza, preparing the public for elections, and the community reconciliation. He said that new meetings will be held during the coming week to discuss the national reconciliation government's formation. Abu Marzouq stressed that the unity government will be neither Fatah nor Hamas, but will instead be of "agreed-upon national capabilities." Palestinian Authorities in Ramallah have refused on Thursday the distribution of Gaza-based newspaper "Palestine" in the West Bank, as promised. Iyad Qarra, Director General of the Palestine newspaper, expressed his surprise over al-Ayam printing press's refusal to distribute the newspaper copies under the pretext of not receiving permissions for its distribution in the West Bank. Al-Ayam printing press said that PA security officials refused the distribution of the Gaza-based paper in the West Bank although it has printed 2000 copies after receiving approval for its distribution. 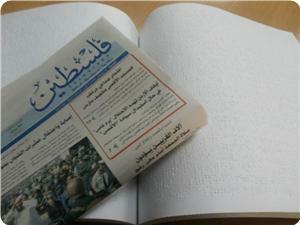 Gaza government has allowed yesterday the distribution of West Bank newspapers in view of reconciliation agreement. On the other hand, PLC speaker Dr. Aziz Dweik denounced on Wednesday PA forces' brutal attack on Palestinian citizens in Yatta town in al-Khalil, especially that several people were injured and arrested during the attack. Dr. Dweik stated that this attack came in total violation of human rights and public freedoms and of efforts made for the implementation of the reconciliation agreement. He called for putting an end to such practices and violations that would obstruct the achievement of national reconciliation, calling for the release of all political detainees from PA jails. PA forces have launched raid and arrest campaigns in Yatta town, where 50 citizens were arrested after raiding their homes including the house of the hunger striker in Israeli jails Zaid Abu Fanar. 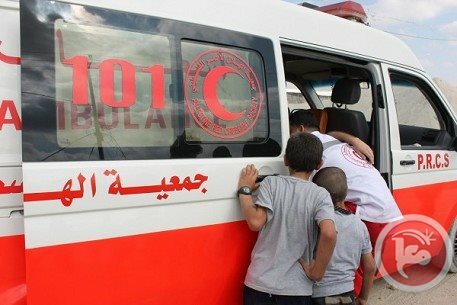 Angry Palestinian citizens attacked on Monday a vehicle for the PA forces after chasing a car belonging to the hunger striker's family. Israeli Foreign minister, Avigdor Lieberman, warned Wednesday Hamas is on way to controlling Fatah-run the West bank and winning the elections that is expected to be held after Palestinian rivals signed April 23 unity deal. 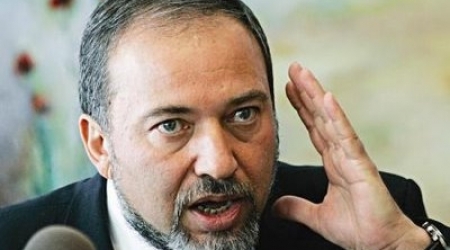 “Hamas is on its way to taking over the Palestinian Authority, but Israel is determined to prevent Hamas from turning the West Bank into Gaza”, Lieberman said. In an Independence Day speech to foreign diplomats at the President’s Residence Lieberman said, “What we see and hear following yesterday’s meeting between Abu Mazen and Khaled Mashal and what is going on in the West Bank show that Hamas is on its way to taking over the Palestinian Authority.”, he added. 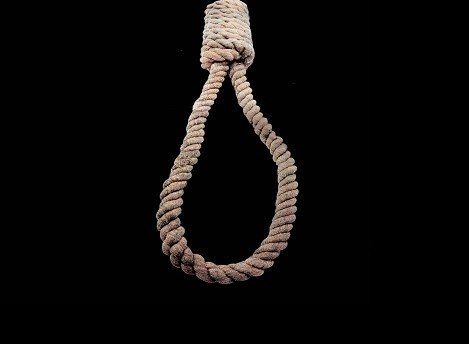 A Palestinian man was found hanged to death late Wednesday in his home in the village of Abu Shukheidim, north of Ramallah, police said. Imad Awada Shreitih, 39, was identified as the victim. The body was taken to Ramallah medical complex and later to the Institute of Forensic Medicine at Abu Dis university for an autopsy. The victim was married with three children. Hamas must recognize the existence of Israel if the Palestinians are to move forward with their hopes of establishing their own state, former Egyptian foreign minister Amr Mussa said Wednesday. "It is normal for the Palestinians to reconcile," Mussa said of a recent unity deal struck between the Hamas militants who run the Gaza Strip and the Palestinian Liberation Organization. However, "I believe that Hamas should declare its acceptance of the Arab initiative of 2002, which is the map of normalization and recognition of the state of Israel together with the establishing of the Palestinian state and the withdrawal of the occupied territory," he insisted. "If Hamas does do this, it would be a major step in the direction of formulating a favorable all-Palestinian policy towards the Palestinian-Israeli conflict." Hamas and the PLO, which is dominated by President Mahmoud Abbas' Fatah party, signed a surprise reconciliation agreement on April 23 in a bid to end years of bitter and sometime bloody rivalry. Under terms of the deal, the two sides would work together to form an "independent government" of technocrats, to be headed by Abbas, that would pave the way for long-delayed elections. The 2002 Arab Peace Initiative was launched by Saudi Arabia and backed by the Arab League. Under the plan, Arab states would forge full diplomatic relations with Israel in exchange for a withdrawal from land it occupied during the 1967 Six Day War or mutually-agreed upon land swaps. Mussa, who was Egypt's top diplomat from 1991 to 2001 before becoming secretary general of the Arab League until 2011, is close to former military chief Abdel Fattah al-Sissi, who is tipped to win next month's elections in Egypt. Egypt, which was once close to Hamas, has grown hostile to the movement after the Egyptian military ousted Islamist president Mohamed Morsi. Last year, an Egyptian court banned Hamas and ordered the seizure of the groups assets. Abbas held "positive" talks with Hamas chief Khaled Mashaal in Doha Monday in the first meeting since their surprise unity deal last month, Palestinian officials said. However, the deputy leader of Hamas, Mousa Abu Marzouq, insisted earlier this week that despite the unity deal his group would never recognize Israel. "We will not recognize the Zionist entity," he told a press conference in Gaza City. Israel has never recognized the right of a Palestinian state to exist and many MKs in the current Israeli government openly oppose its creation. 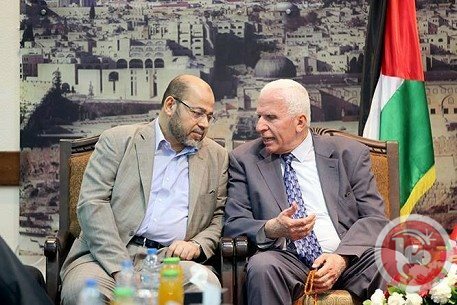 Member of Hamas's political bureau Mousa Abu Marzouk said that the national unity government would have no political agenda and its only mission would be to accomplish certain tasks and to run the daily affairs of the citizens in Gaza and the West Bank. Abu Marzouk made his remarks during a meeting held on Wednesday by the ministry of culture. He stated that the unity government to be formed would be transitional operating within six months to perform six tasks, most importantly, making efforts to end the blockade on Gaza and resume its reconstruction activities, and creating the atmosphere for legislative and presidential elections at home and abroad. This government would also be tasked with achieving the social reconciliation and protecting public freedoms before holding the elections, the Hamas official noted. The official asserted that the Palestinian signatories to the reconciliation agreement are determined to move forward to implement what they have agreed upon.